Whitehaus Collection has been raising the bar in the decorative arena for over ten years by providing high-end decorative plumbing fixtures that range in design from modern to eastern-influenced to traditional. Our products are not only aesthetically pleasing, they are finely crafted to withstand the test of time, children, guests, and other forces. Whitehaus Collection is your source for original designs and imports of quality decorative plumbing fixtures to be found in the kitchen and bath. From traditional to contemporary design, we bring to you a broad selection of styles and finishes for sinks, faucets, and accessories. 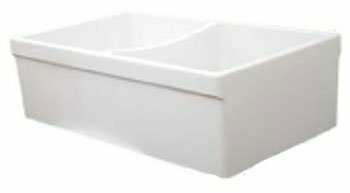 Reversible Series Front Apron Athinahaus/Fluted Fireclay 24 in. 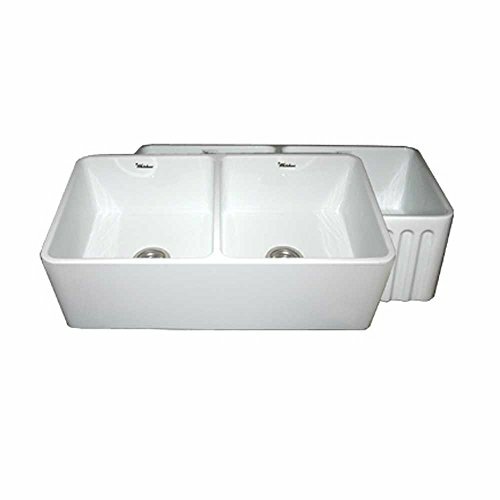 Single Bowl Sink in White by Whitehaus Collection. 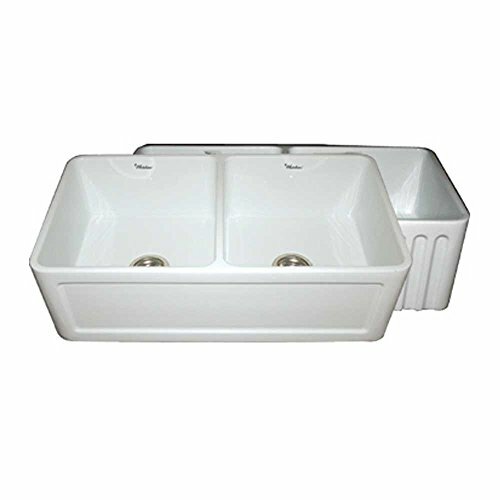 This fireclay Sink is made of Organic material. The beautiful design of the sink is patented. Whitehaus Collection is an industry leader, offering the widest selection of fireclay sinks in the market. Every sink is handmade from natural clay, molded, and then baked into an elegant, smooth and glossy finish. 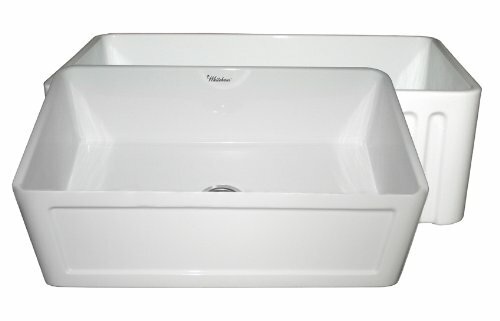 Proven to be durable and resistant to extreme temperatures fireclay sinks are visually appealing and timeless in design. The Whitehaus Collection's 30" Reversible series fireclay sink with Concave front apron on one side and fluted front apron on the opposite side is featured here in White. WHQDB532-BL Finish: Black Features: -Matching grid available (GR532). -Undermount or tile-in installation. -Decorative 2" lip on one side and a 2.5" lip on the other. Installation Type: -Farmhouse/Apron/Undermount. Material: -Fireclay. Sink Shape: -Rectangular. Number of Faucet Holes: -0. Number of Basins: -2. Dimensions: Overall Sink Depth - Top to Bottom: -10". Overall Length - Side to Side: -33". Overall Width - Front to Back: -20". Overall Product Weight: -90 lbs. Web Video Series #2: Whitehaus Collection Farmhaus Fireclay: How Does Your Fireclay Get Shipped? 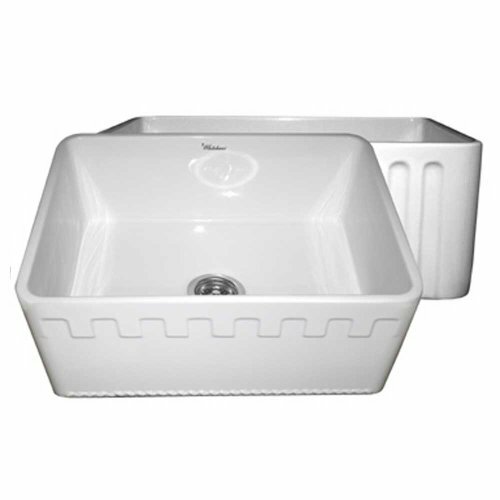 Compare prices on Farmhaus Fireclay Series at ShopPlanetUp.com – use promo codes and coupons for best offers and deals. We work hard to get you amazing deals and collect all available offers online and represent it in one place for the customers. Now our visitors can leverage benefits of big brands and heavy discounts available for that day and for famous brands.